Being a feature-rich, professional eCommerce platform, Magento is preferred by many.  Orwer IT & Media Services delivers customized solutions and third party plug-ins, for providing its clients through greater flexibility and scalability. 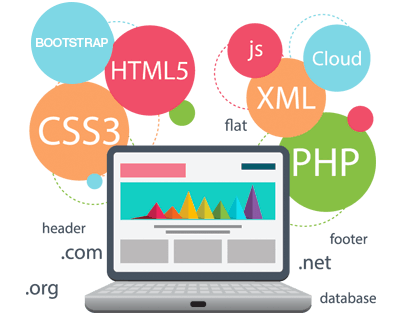 Orwer IT & Media Services has a rich history working with Magento and is also a centre of excellence forMagento Development Services. 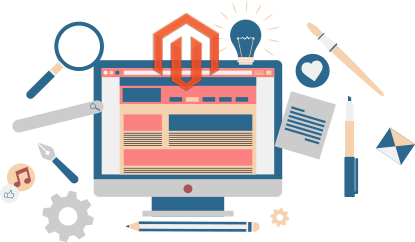 It’s dedicated and experienced team of Magento Certified Developers are well-versed with diverse domains and a plethora of applications, and well-known to get to the nitty-gritty of each of the developed sites. What’s more, our comprehensive Magento Development services are offered to clients on a flexible engagement model, and aligned with international standards in terms of quality and performance.  Magento Solution is a feature-rich, professional open-source ecommerce solution that offers merchants complete flexibility and control over the look, content, and functionality of their online store. Magento’s intuitive administration interface contains powerful marketing, merchandising and content management tools to give merchants the power to create sites that is tailored to their unique business needs. Completely scalable and backed by an extensive support network, Magento offers companies the ultimate ecommerce solution. 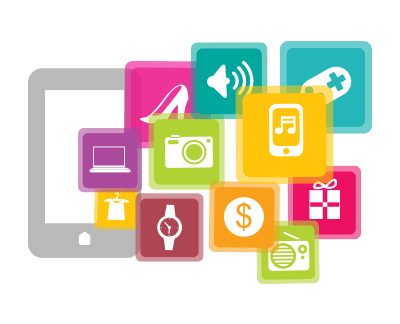 Orwer IT & Media Services delivers a varied set of services under its Magento Development offerings including Magento Consultation, Theme Design, Extension Development & Integration , Custom Module Development, Site Migration services, Version Upgrades, Maintenance & Support along with add-on enhancements. 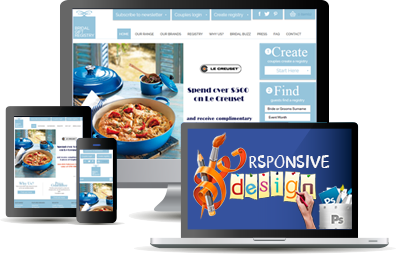 Creating online ecommerce websites are a bit of a hassle, but with Orwer IT & Media Services, it has always been easier. Leveraging the core features of Magento, the company provides ample space for product catalogues and stringent integrated payment gateways for ease of business. With the comprehensive ecommerce solutions, Orwer IT & Media Services gives its clients, complete control over the look, content and functionality of the site and delivering the edge on the rest of the competition. Orwer IT & Media Services being a Magento Service Provider, We understand your business and we have been working with Magento Extensively for various small, medium and large portals. 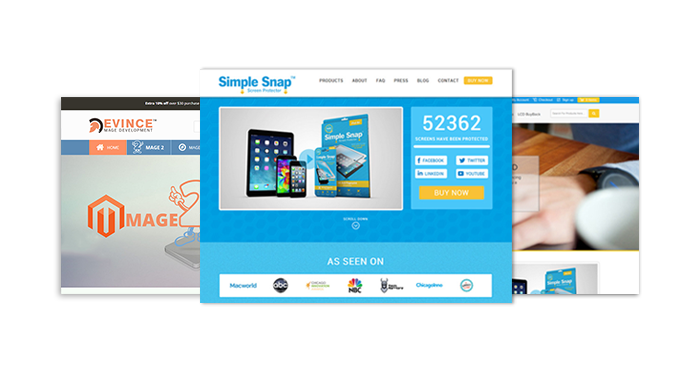 We have successfully delivered more than twenty eight lucrative Magento store for some of the very big brands in US market. 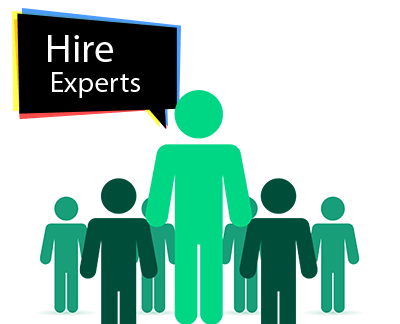 We have experienced Magento Developers who can handle any type of projects starting from installation, Configuration, template integration, plug-in development, complete automation and customization. Magento E-Commerce Development provides limitless possibilities. With Magento, we transform your ideas into reality. 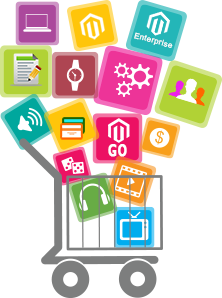 As one of the earliest adopters of Magento, Orwer IT & Media Services has accumulated incredible experience developing on the platform with a team of developers who are experts in varied applications. The Magento experts at Orwer IT & Media Services have worked on varied types of Magento implementation including building a new site, migration to an existing site based on Magento from another platform, or even update the Magento version. 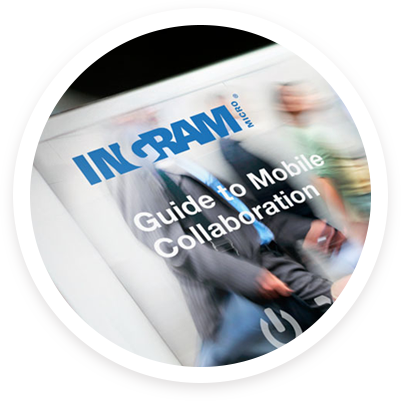 Our implementation services include brand-based design, personalized site development, and post-implementation services. We have unmatched experience in Magento development with the help of Magento Certified Developers in our team, who adhere to best practices with consistent performance and longevity of the solution proposed. 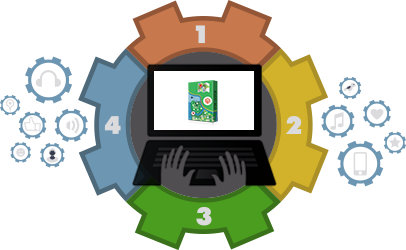 Our solutions are aligned to current development methodologies, code repositories, and he latest development tools for delivering the highest quality and reliability to clients. To complete the circle, we also deliver marketing services with evolved strategies to our clients’ advantage.Analytics is a core area of our online marketing efforts, even leveraging Magento’s built-in SEO friendliness for better value for investments. Performance is a critical factor and we do not compromize on delays in any way in diverse scenarios. We offer solutions after assessing your infrastructure, the existing application-level performance, server-side logic, and look for gaps in performance with the help of several optimization techniques (CDNs, varnish, caching, etc.). Our automated performance monitoring service makes sure that the system is maintained at the optimal level, always. 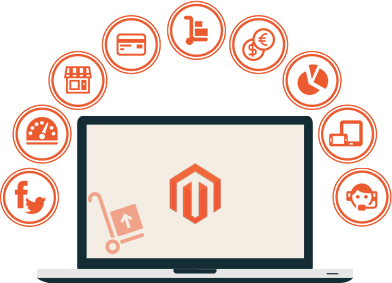 To know more about Magento Development, please read our OUR BLOG.